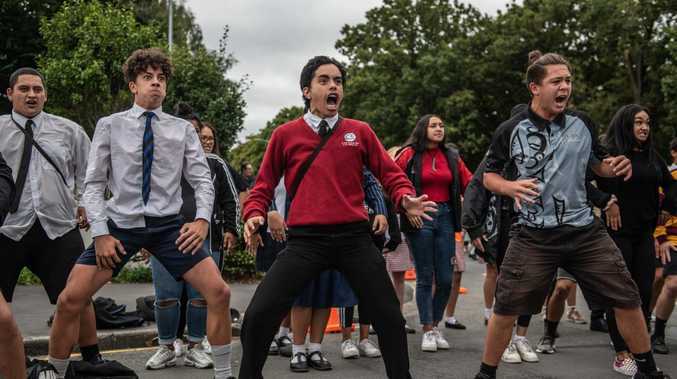 HUNDREDS of New Zealand students have come together to pay their respects to the victims of the Christchurch massacre, with some performing an impromptu haka as a tribute. Boys and girls from different schools joined together to perform the traditional Maori dance as a way of honouring the 50 people that were killed in Friday's terror attacks. The powerful tribute brought tears to the eyes of onlookers as the students' chants rang out across the street. 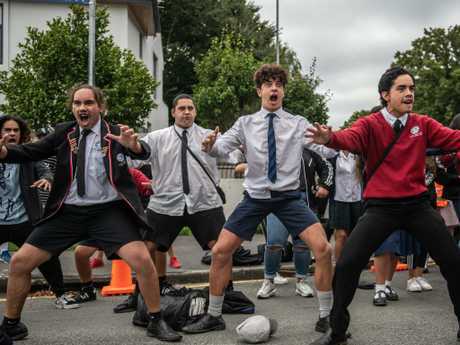 Christchurch Boys' High School was among the schools that performed the ritual dance, with head boy Fergus Kilpatrick telling the ABC it was an honour to participate. "It's something that's really special. It's a part of our culture and it's what we've done growing up, and to share that with someone through their grieving period," the 17-year-old said. On Monday evening, students held a vigil in a park across from Al Noor mosque, where dozens were gunned down on Friday. They held candles, left letters for the victims and draped the fence along the park with chains of colourful paper notes each carrying an emotional message. "You are not alone", "This is your home", You are part of us" and "We all bleed the same colour" were some of the moving phrases printed on the paper. 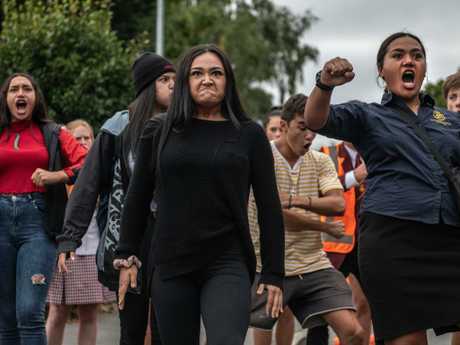 For 17-year-old Portia Raharaha, who attended the vigil with other students from her Catholic high school, watching the haka was particularly moving. "All the races combining, all students, all ages, both genders, we're all just coming together," Portia said. "Nothing has really changed. Maybe it's shaken us, but it really hasn't changed us." 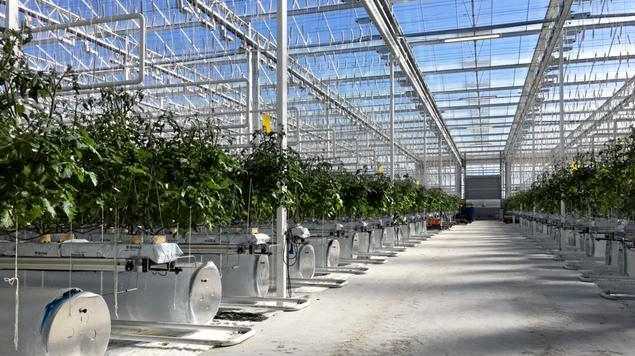 Council News A MASSIVE intensive horticulture project that would employ up to 500 people west of Toowoomba has received full endorsement from the Toowoomba Regional Council. News Manager reveals plans for two weekends of grand opening activities. News Thieves drive away from South Burnett business with cash machine. Breaking Emergency crews are on scene.